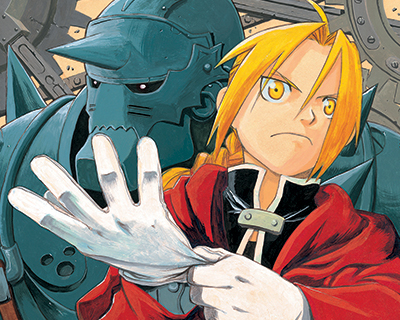 In an alchemical ritual gone wrong, Edward Elric lost his arm and his leg, and his brother Alphonse became nothing but a soul in a suit of armor. Equipped with mechanical “auto-mail” limbs, Edward becomes a state alchemist, seeking the one thing that can restore his and his brother’s bodies...the legendary Philosopher’s Stone. Born in Hokkaido (northern Japan), Hiromu Arakawa first attracted national attention in 1999 with her award-winning manga Stray Dog. Her series Fullmetal Alchemist debuted in 2001 in Square Enix’s monthly manga anthology Shonen Gangan and went on to become a global phenomenon. Never miss a new release. Follow Fullmetal Alchemist today!